This Michigan 45 seems to have been Trotter's only release but both sides are high quality music. "Think About It" is premium rhythm and blues full of energy and with the sort of rough tough approach that the Detroit doubters like myself love to hear from that city. 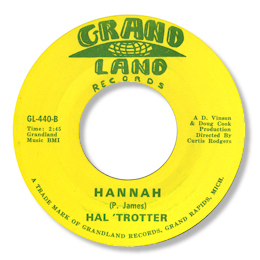 Hannah, on the other hand is a blues ballad of considerable power on which Trotter acquits himself admirably. This 45 wins my award for the record with the most out of tune piano.